There’s no getting around it – if you are doing business in San Diego (or anywhere), you need a website. Customers are searching for your services online. If you don’t have a website, you could be losing out on vital business. Your potential customers are finding your competition, and because they appear trust-worthy on their professionally-designed website, you are losing vital business. of consumers search for services online. Is YOUR business ready to be found? At White Wonder Studios, we help connect you with consumers and generate leads for your business. We do this through professional web design and digital marketing services. 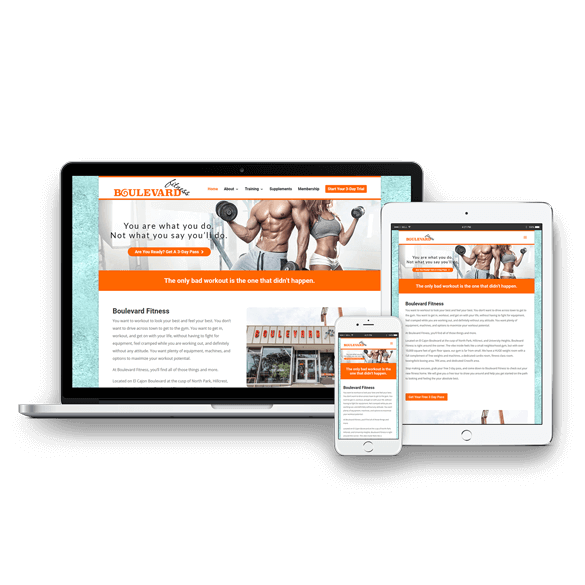 Our expert web designers craft beautiful, responsive websites that tell your story, convert visitors to leads, and help you grow your business. Let’s be honest for a second – web designers are a dime and dozen these days, and there are plenty of DIY tools that you could use to throw together a website. So why should you work with us? Let’s start with experience. We’ve been designing websites for clients for over 20 years now. Our team has been around the block, they do web design really, really well. How? We realize that web design is more than just a pretty screen. We know you have a story to tell, and that your story resonates with your customers. We know where, how, and on what devices your potential customers are searching for your services. We know how to tactically target your consumers to get them to your website, tell your story, and become a hot lead for your business. We take your success seriously – because your success is ours as well. We take the time to learn about you and your business, to discover the weaknesses in your sales and marketing strategy, and we work together with you to implement professional web design and strategic marketing to generate a positive return-on-investment for your business. How much will professional web design cost? A website is the cornerstone for online marketing for any business, and a high-performing website that is continually generating leads for your business will more than pay for itself in a short period of time. This is accomplished through careful, thoughtful planning. Effective web design is beautiful, fully responsive (resizes to fit any screen), has solid copy writing to resonate with your target market, and integrates into your marketing strategy to generate new leads for your business. We are a boutique firm that operates as a marketing partner working to grow your business. As such, you can expect a standard web design project to cost anywhere from $3,000 to $5,000, on the low end. Web design projects that are larger and/or more in-depth may cost $7,000 to $10,000+. Each project is unique and we will be more than happy to provide you with a detailed quote for your web design project after a detailed discovery session via phone. If the above figures are out of the range of your marketing budget, we invite you to learn more about our monthly website design plans, which are a complete web design package billed on a monthly basis. For a smaller setup fee and low on-going monthly fee, your business will get the same end result – professional website design for your business.